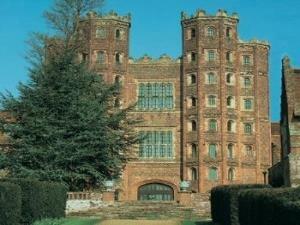 Group Visits at Layer Marney Tower01206 330784work Group VisitsLayer Marney Tower is full of history and stories. The guide book is good but a guided tour opens up the past in a way that a group visit does not. The tour can be organised to any length but they normally last between an hour and a half and two hours, depending on the chatter. We have various spaces that can offer catering. Our larges t room can seat up to 120 people, our normal tearoom takes about 35 people and we have spaces in between. We prefer, where possible, for a meal or refreshments to be booked in advance as it makes for a better experience. Look on our website for the booking form which also has the current menu offers. Layer Marney Tower is full of history and stories. The guide book is good but a guided tour opens up the past in a way that a group visit does not.